Blog > Christmas > A Very Berry Christmas Mini KAL! A Very Berry Christmas Mini KAL! Ho ho ho! There’s one week left before we start the Very Berry Christmas KAL! Grab your materials and get ready to join us on the 15th November for Part One! For festive frolics, we’ve decided to make some fabulous Christmas decorations from patterns from one of our favourite designers, Amanda Berry! Each week we’ll be making two different patterns to hang on trees, string into bunting or wrap up for gifts! A teeny tiny penguin for the tree! Amanda Berry is a fabulous designer of the sweetest range of little toys you have ever seen! Her creations bring to life any little toy you could dream up from dragons, dinosaurs and vikings to birds, dogs, pirates and mice! There’s a little toy for every occasion! Some of Amanda’s wonderful patterns! Click here to explore! We love Amanda’s festive Christmas patterns so much, we thought we’d make them along with you! We’re going to be making six FREE patterns from Amanda’s collection – but there are many more Christmas patterns to make! Mini Mittens, perfect for bunting or hanging on the tree! All of the decorations are knitted flat on two needles, and are designed for beginners. We’re going to knit along with you, and there’ll be a video for each pattern to help you! Can you catch this gingerbread man? We’ll be making the Mini Mittens, Christmas Stockings, Gingerbread Man, Teeny Penguin, Easy Christmas Tree and Santa Egg Cosy! A sweet little tree for Christmas! To make these gorgeous Christmas decorations, we’re going to use Paintbox Yarns Simply DK, a fabulous acrylic yarn that comes in 60 shades! A perfect way to keep your eggs warm, Santa style! A selection of your favourite colours for the Christmas Stockings! A small amount of stuffing for Teeny Penguin and the Gingerbread man! You can also follow along with the KAL on the LoveKnitting App so you can knit on-the-go! The KAL will start on 15th November, so you’ve got A WEEK to get ready! Last updated: November 23rd, 2017. 25 Responses to A Very Berry Christmas Mini KAL! I love Amanda Berry patterns and never having done a knitalong before I am going to have a go! good laugh. I crocheted for years. And most yarns that you buy today are horrible. So I will give this a try. 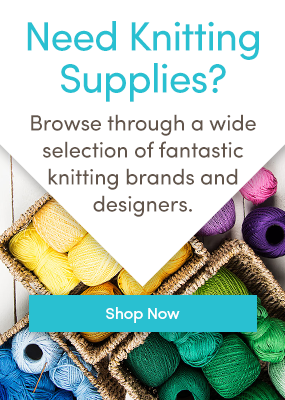 I do like the yarn prices. I like DK yarns for knitting anything. My yarn stash has been out of control for years! Now I have a chance to use some of it up as I do not have $$ to purchase this lovely Paintbox yarn at this time. Thanks for the ideas to use up some stash and make great gifts. Do we have to sign up for this KAL? This will be my first! So how do you get hooked up for the very berry Christmas mini kal? Hi, Awesome idea and a great way to use up some of the yarn stash especially the small balls of yarn leftover from projects. How do I sign up for the Christmas KAL? Rarin’ to go. Where do I sign up? I’d like to try. Please sign me up, or show me where to do it! Love this event. Never Participated in A knit❤ along. Count me in! How do we sign up? I haven’t done a KAL in a long time. This one sounds like lots of fun let’s do it! Hi everyone! There’s no need to sign up to the KAL – we’ll work along together and I’ll post the videos each week – I’ll add more details to the post above! Looking forward to a very berry KAL! I can’t wait to start making the patterns. WOOHOO – I am ready now! I love Amanda’s patterns, and this gives me an excuse to move away from my shawl-knitting for a bit and PLAY! looking forward to knitting along.